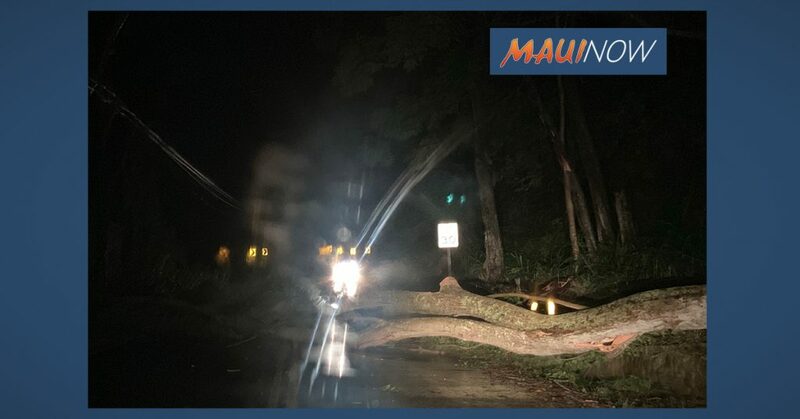 As of 9 a.m., all Maui County roads are open except for Olinda and Piʻiholo roads, and Hāliʻimaile Road near Baldwin Avenue because of downed power lines and trees. 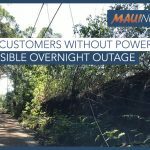 An estimated 455 customers were without power in parts of Haʻikū, Olinda and Piʻiholo this morning, according to a Maui Electric spokesperson. 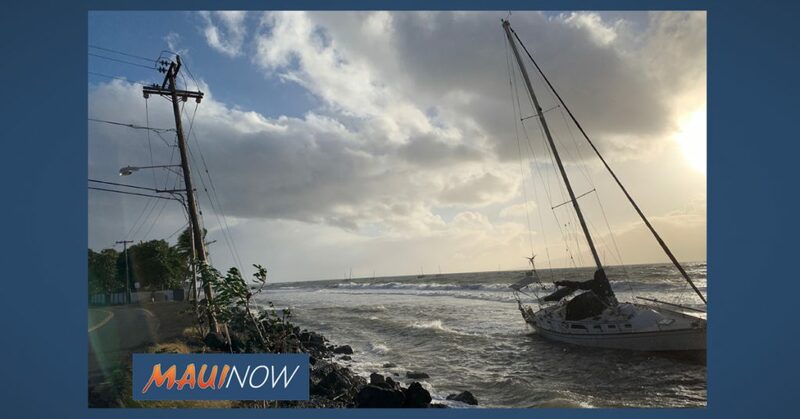 Salvage operations were ongoing for nine boats that washed ashore in West and South Maui and one grounded vessel on Molokaʻi. 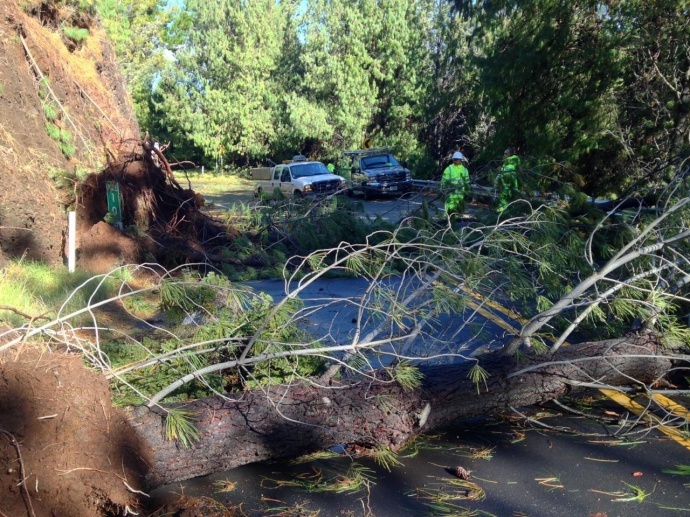 There were no reports of pollution from spilled fuel. 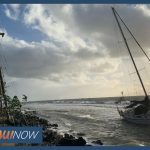 All Maui Bus routes were up and running this morning, and the Lānaʻi ferry was operational, county officials said. 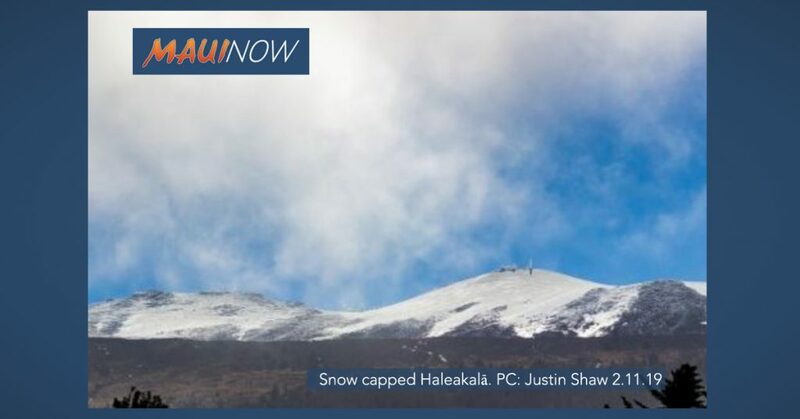 Bus riders can download the Maui Bus app for the latest information and bus tracking. 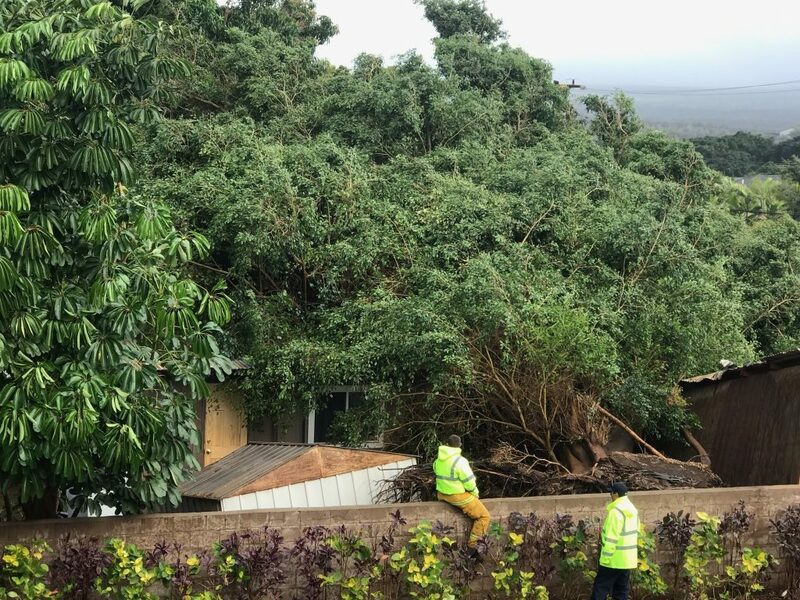 Maui County residents and businesses are asked to report any storm-related damage by calling the Maui Emergency Management Agency at (808) 270-7285 or by reporting online by going to Mauicounty.gov.